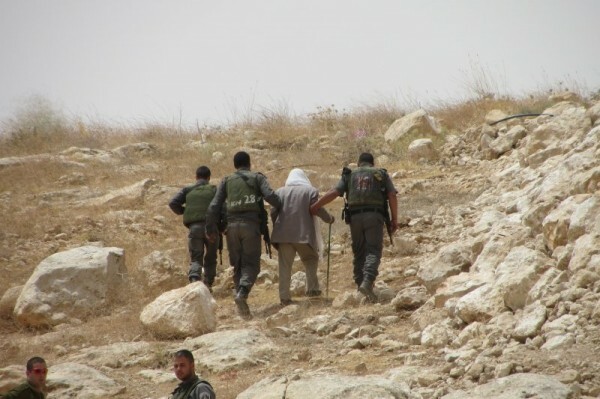 On Saturday June 8 an old Palestinian man from the village of Umm Al Kheer, Suleiman Aid Yameen Hadleen, was detained for more than three hours by the Israeli army while affirming his right to access his own land. 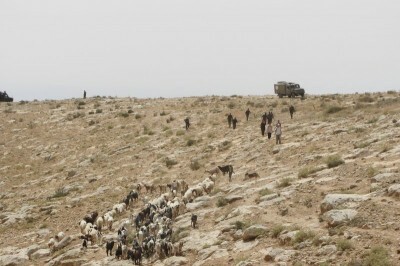 In the last two days the soldiers denied the Palestinians from Umm Al Kheer the access to their own land until Sunday morning, without any official order. The above-cited land is on a hill that belongs to Hadleen family. On the top of it the settlers of Karmel Israeli settlement in 2011 planted some olive trees and about two weeks ago built a small tent. 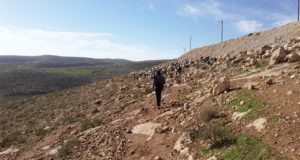 Two days ago the settlers started to dig holes on the ground with the intention of planting more olive trees in a row that would go along the top of the hill, preventing Palestinians to enter the land behind it. That hill is crossed everyday by Palestinian shepherds, since it is the only way that takes to the valleys grazed by their sheep. 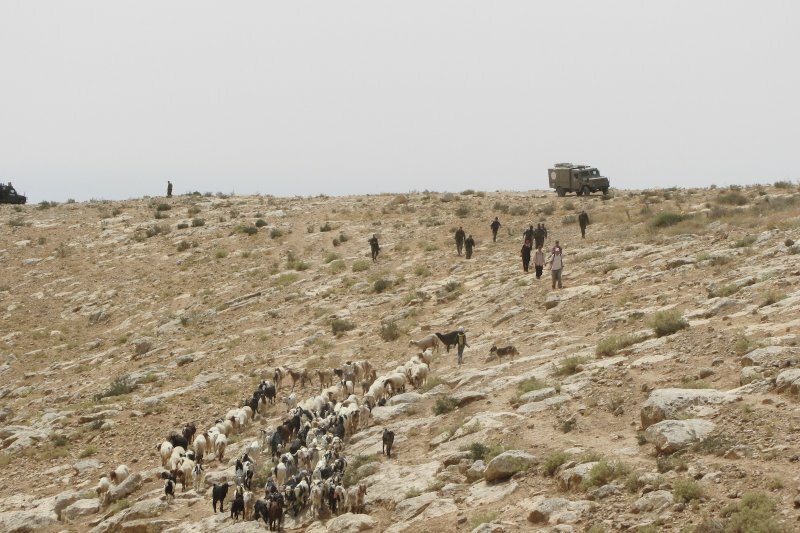 On Saturday June 8, three Palestinian shepherds with their flocks, together with other Palestinians, Israeli activists and international volunteers were chased away from the top of the hill by the Israeli army. Suleiman remained on the place in order to affirm the right to access his privately-owned land until he was brought into one of the army jeeps present on the place. According to his statement, he was blindfolded, beaten and driven around in different army jeeps. The soldiers also prevented him from praying. He was detained for more than three hours and left with no explanation in the Palestinian village of Ar Rakeez. 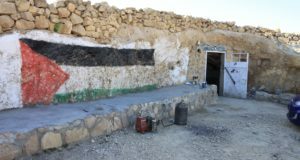 Umm Al Kheer is a Bedouin village in Area C (under Israeli civil and military administration) built in 1948. 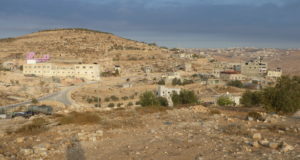 It is located nearby the Israeli settlement of Karmel built up in the beginning of the ’80s and still expanding. The village experiences periodic harassment from Israeli settlers and army. 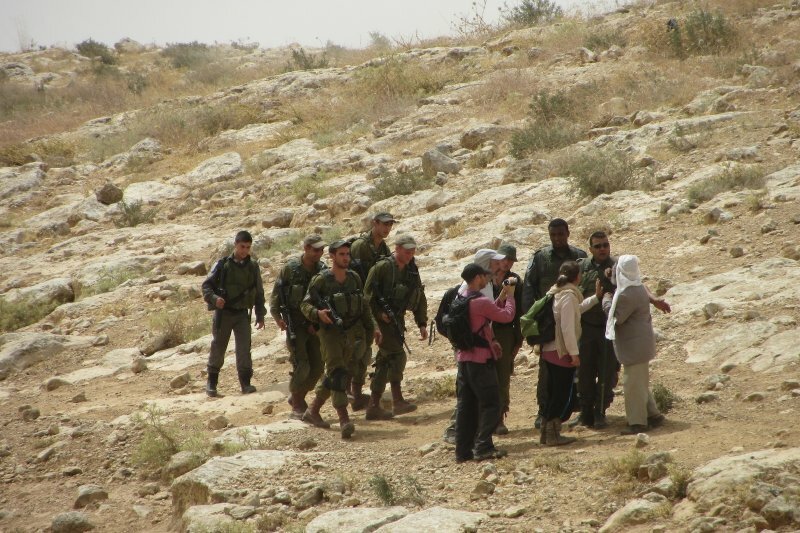 Operation Dove maintains a constant presence in At-Tuwani and South Hebron Hills since 2004.